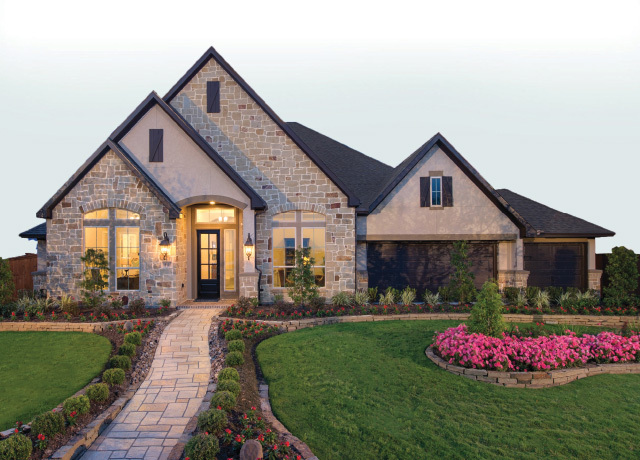 Custom 1½-story floor plan with grand dome entry with 26’ ceiling and custom chandelier. Entry opens to a formal dining room with 12’ groin ceilings, built-in cabinetry with granite countertops and glass cabinets. 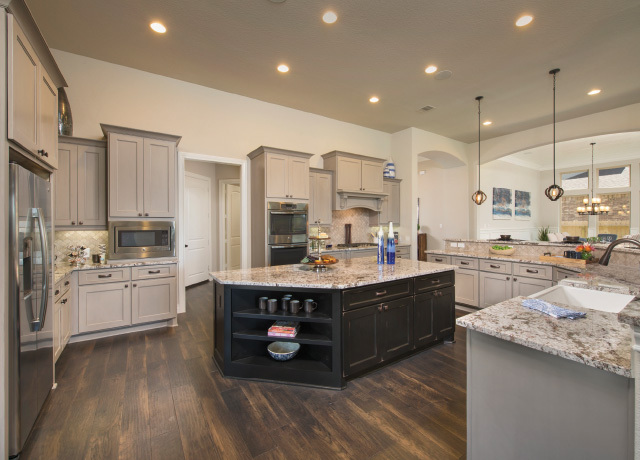 Chef’s kitchen includes stainless steel appliances, farmhouse sink, exotic granite countertops, custom vent hood and abundant cabinet storage. 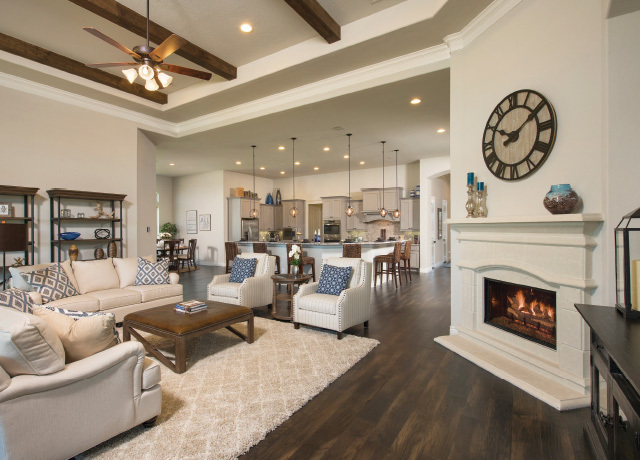 The open concept kitchen looks out to the family room with 14’ ceilings with high end features such a wood beam, interior stone fireplace, floor to ceiling windows and access to the extended covered patio of 66’ with stone columns and outdoor fireplace. Luxury extends to the Master Suite with 13’ ceilings, patio access and en-suite bathroom. 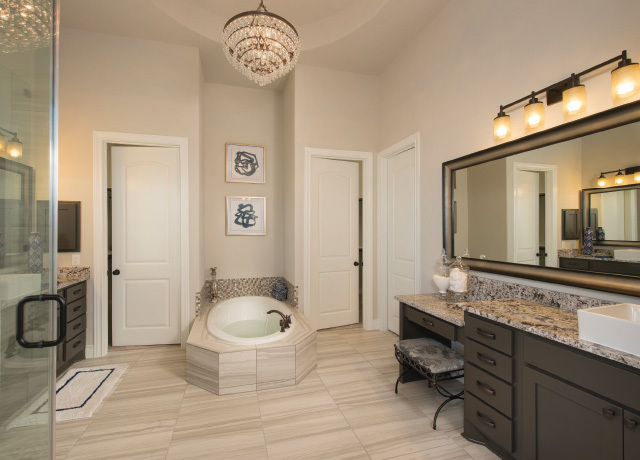 Master bath includes a freestanding soaker tub, recessed master shower with custom tile work and dual showerheads, separate His-and-Her vanities, custom towel storage, His-and-Her closets with secret passage. A curved wooden staircase leads to a second story media room, game room, bedroom and bath with water views.